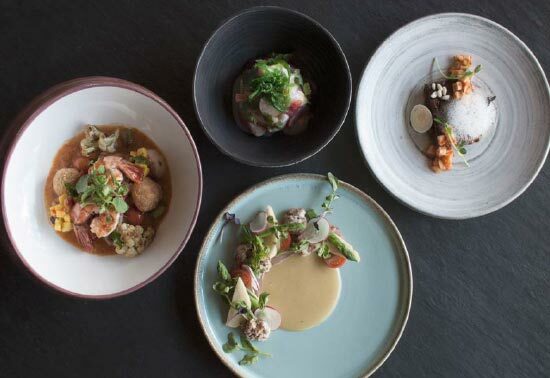 This range consists of Each plate is designed to create a unique and creative vibe for a fine dining experience. Jungle Fish, an open-air, split-level restaurant and pool bar perched on the side of a ridge overlooking the Osh River Valley. Come and experience swimming amidst the lush jungle.